Melbourne is the home of over 4 million people and known to be a multicultural city. It’s blessed with big parks, a mix of modern architecture and great sporting venues. With such a big multicultural population Melbourne, every year is seeing thousands of exciting engagement proposals. Whether you are planning to propose indoors or outdoors Melbourne offers great places to do so. The Eureka Tower’s Sky deck is located in the CBD and has been the venue for a plethora of proposals. The Melbourne Star observation wheel is another option that combines the stunning views of Melbourne with the option of keeping nice and warm. We have heard that they might be able to record and stream the proposal – worth asking if you want to share this magical moment with your loved ones. If you want to add a bit of fun to your proposal Melbourne’s Luna Park, located in St Kilda is a great option. You can take the “scenic railway” and propose on the ride – just make sure you hold the engagement ring close to you. If the outdoors is more your thing, the botanical gardens, city lanes, and one of Melbourne’s large number of fantastic restaurants is one of many available options. 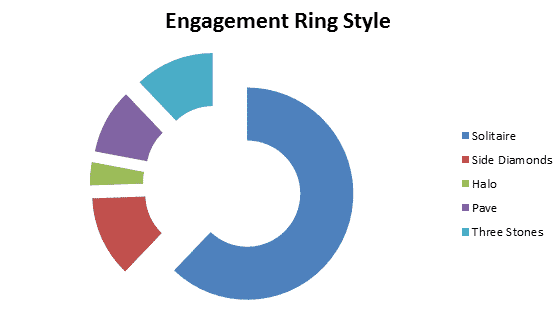 Based on our past records you can see that Melbournians prefer the traditional solitaire engagement ring. 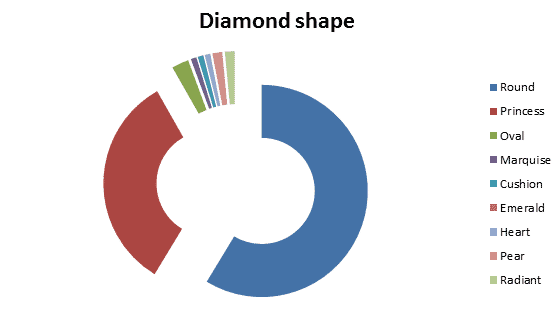 In terms of the centre diamond shape the round brilliant and princess cut are the most popular. Start building your own Engagement Ring today!